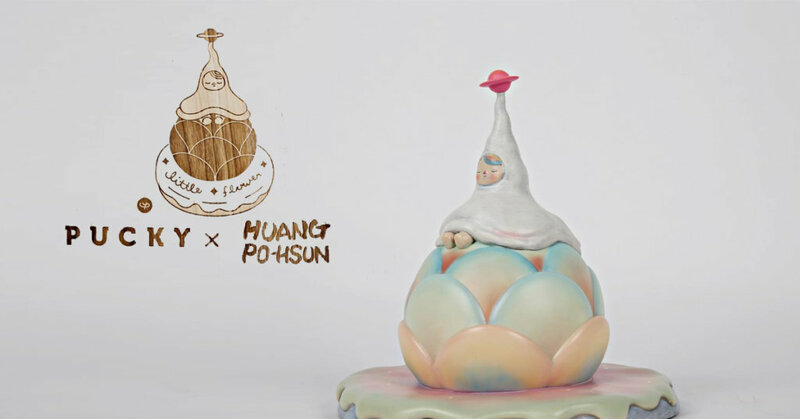 “Little Flower” is the newest art sculpture created in collaboration with artist Pucky and Huang Po-Hsun. Both artists have telltale styles spotted within “little Flower”. First seen at last weekends ToySoul, VTSS are now offering collectors who couldn’t make it to the show to own “little Flower” Only 66 pieces in the world and we have no idea how many are allocated for the online release. Produced by VTSS, Pucky x Huang Po-Hsun “Little Flower” will be released tomorrow. Measuring at a height of 8.3 inches(21 cm),,Little Flower is made by poly-resin and hand-painted piece by piece. Each sculpture comes with a COA(Certificate of Authenticity) which signed and numbered by both artists, packed with a wood box. Limited to only 66 pieces in the world. Debuting in December 2018 at “Toy Soul” to an overwhelming success,VTSS will be taking orders at official website on Dec 20 on a first-come, first-serve basis. Items are expected to ship around Dec 31, 2018. 2.SF-express paid by customer in China and Hong Kong. 3.For other locations,VTSS will inform you when order confirmed. We take paypal or bank transfer.